Timmy the cat finds a resting spot on a Nektar Panorama P4 keyboard controller. From Mark Tapply via the Facebook group Synthesizer Freaks. 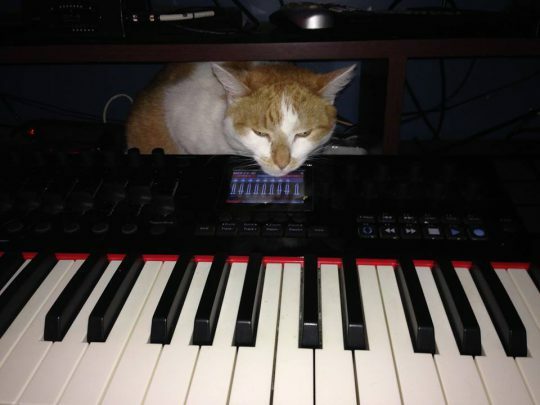 Posted on February 6, 2018 by catsynth	This entry was posted in Cats, Synthesizers and tagged cat, nektar technology, Synthesizers. Bookmark the permalink.